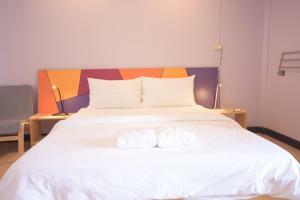 Located in Bangkok, Room@Vipa offers comfortable accommodation with a balcony and free WiFi access in all areas. 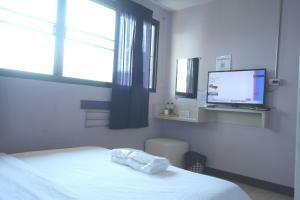 It is 2.8 km from Central Plaza Ladprao and 5.8 km from Chatuchak Weekend Markets. 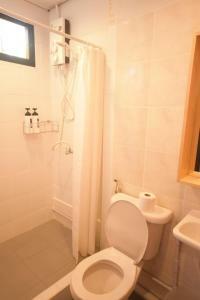 Free private parking on-site is also available. Simply furnished in earth tones, the air-conditioned room are equipped with a flat-screen cable TV, a seating area and a dining area. 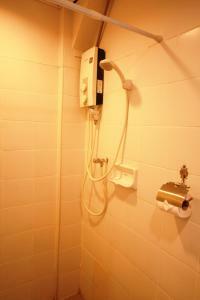 Shower facilities, towels and free toiletries are included in the private bathrooms. 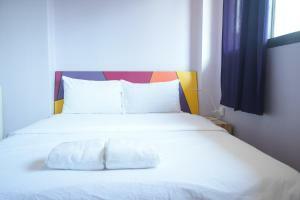 At Room@Vipa guests will find a garden, a bar and an on-site restaurant. 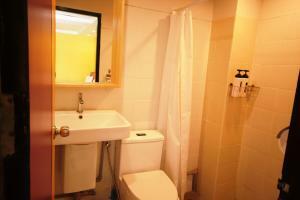 The shared lounge and kitchen area is also available for use. 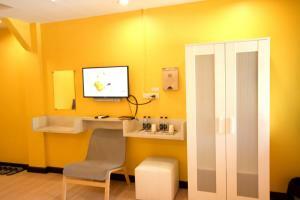 For the guests' convenience, services such as luggage storage and lockers are offered as well. 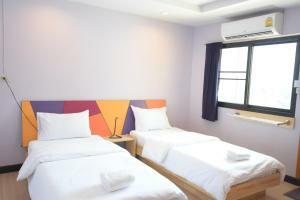 The hostel is located 5.2 km from MRT - Phahon Yothin, 6.2 km from Bangkok Bus Terminal Mochit and 5 km from Queen Sirikit Park. Don Mueang International Airport and Suvarnabhumi International Airport are 14.4 km and 34.5 km away. 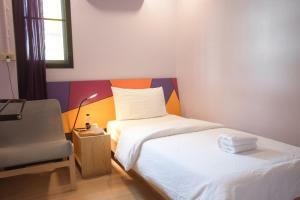 This quadruple room has a balcony, air conditioning and dining area. 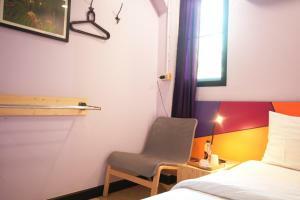 This double room features a balcony, a flat-screen TV and air conditioning. 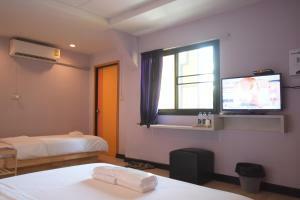 This twin room features a balcony, a flat-screen TV and air conditioning. 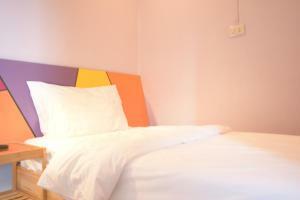 Rate: THB 705.00 ... THB 2410.00; select dates below to get current rates.